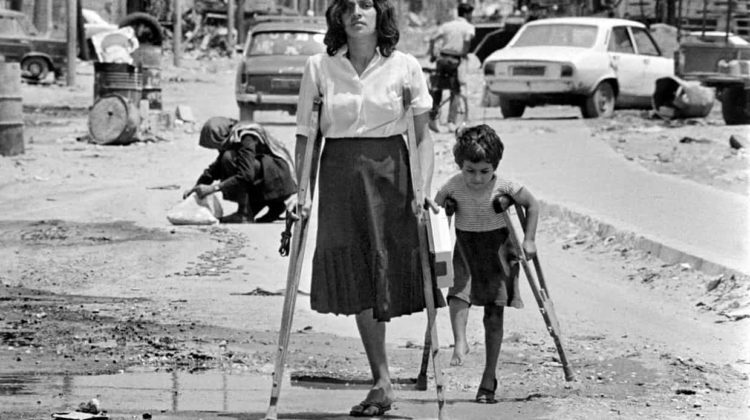 With April 13, the remembrance day of Lebanon’s war, approaching, I found this intriguing article posted by the Guardian on a Lebanese Photographer called Maher Attar who got reunited with the one-legged mother that he took a picture of during the Civil War and that made it to the front of the New York Times “capturing Lebanon’s disintegration like few other images in the 15-year conflict and launched his career”. It’s a very powerful image and what this woman went through during these 33 years is truly painful to read and a proof that the Civil War is still an open wound. Samar, the woman in the photograph, is now begging for rent to help out her son after her husband died. She didn’t find any NGO or charity to help out and lost her second leg.